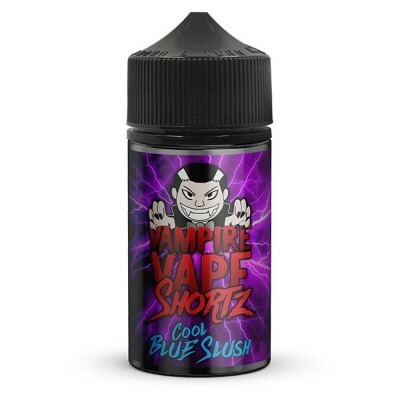 Vampire Vape is one of the best known e-liquid brands in the United Kingdom. They became famous for their mostly high PG e-liquids available in the 10 ml range - the best known being Heissenburg. But with this Shortz range there is a departure from both high PG e-liquids and the 10ml bottle. Each bottle comes with a capacity of 75ml, but contains 50ml of e-liquid. The additional space allows more space for nicotine shots, making it ideal for vapers who prefer a stronger nicotine hit in their shorfills. The Vampire Vape Shortz range come with a VG:PG ratio of 70:30. This makes it ideal for intermediate to high powered mods using tanks with lower resistance ratios (typically below one ohm). They are suitable for direct-to-lung vaping and for vapers who prefer large clouds of vapour.